The Conservative Party is beginning to lose faith in its austerity budget plans as the Labour Party under Prime Minister Gordon Brown regains ground in the polls, according to Reuters.After tightening to a 2% gap in the polls over the last week, Brown looks set to continue down the centre pledging to spend on key entitlement and state programs, like health care and education, while cutting the deficit at the same time. 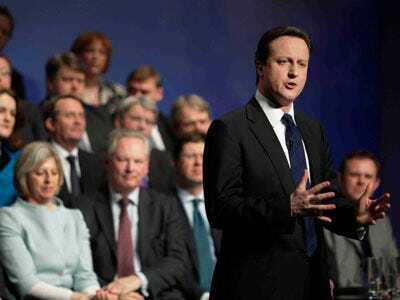 The Conservatives under leader David Cameron have called for an “age of austerity,” which is a “sound bite too far,” according to Tim Bale of Sussex University. The pound is getting hammered today in trading as a result of the poll tightening as markets factor in the chance of a hung parliament or Labour win. It seems the market recognises, correctly, that restraint in the UK is officially a lost cause.